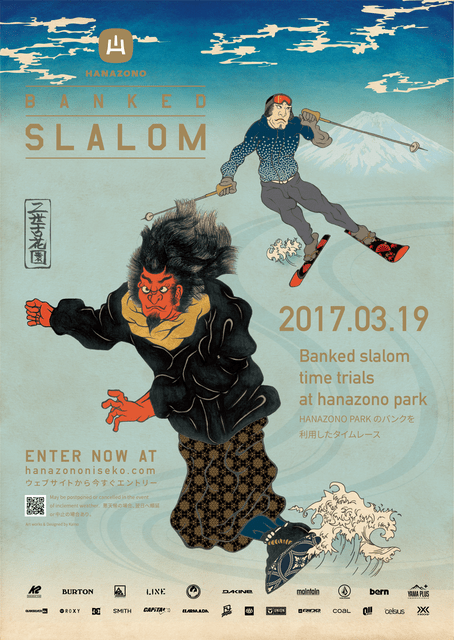 HANAZONO Banked Slalom will be held on March 19, 2017. The course will be setup in the Quarter Pipe and top half of the Main Park. Numerous big prizes from our awesome sponsors are up for grab! Registration closes closes on March 18, 2017 at 17:00 pm or when we reach 80 participants.